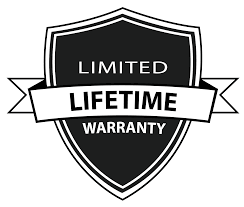 Simply CopperLIMITED LIFETIME WARRANTY Simply Copper warrants that our sinks are free from defects in materials and workmanship under normal use and care for as long as the original purchaser owns the product. Variations in the dimensions, textures and finished are inherent in the nature of handcrafted sinks and are not considered defects. In no event shall Simply Copper be liable for any damage to or caused by the products during or after installation. Simply Copper is not responsible for labor or installation charges or any other expenses associated with a defective product. Our sole responsibility is replacement, exchange, or repair of defective product. Simply Copper makes no warranty to the finishes of our products, finishes naturally change over time. And sizes vary slightly due to being handcrafted.